A client had a request to have a warning in the page editor when the authors was editing a cloned item. Then you make a public class with method name ‘Process’ that has the ‘Sitecore.Pipelines.GetPageEditorNotifications.GetPageEditorNotificationsArgs’ as an argument, and you are done! Simple! Please leave a “Like” and/or use the share buttons, if you found this guide usefull. This is the third post in my series about the Rich Text Editor (RTE) in Sitecore. You can find the first post which is about the basics of setting up the RTE here. Now you set up your editor and blocked access to the HTML edit buttons, so you might be thinking that you are safe and the authors cant possibly wreck your site now. Well, they are a ressourceful people those authors and it won’t take them long to figure out that they can copy-paste all kinds of HTML or even word-formatted text into your beautiful W3C compliant website. And having word formatted tags and other shenanigans in your website, definitely does not make it W3C compliant, uniform or maintainable. Luckily the Rich Text Editor is a powerful tool and comes with mechanics to strip tags when pasting. As you can see in the link above, the editor provides many different ways to strip tags. 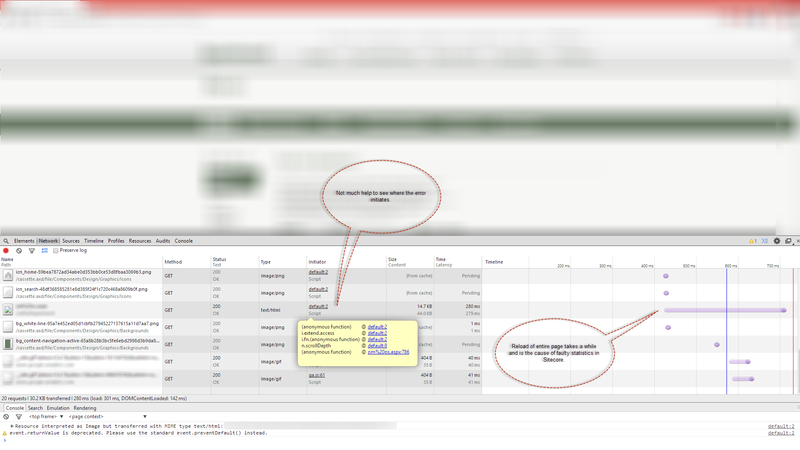 In this example we are going to use the MSWordRemoveAll option, which strips all those nasty word tags. Some guides on the internet will tell you that you can simply go into the filesystem in “www\sitecore\shell\Controls\Rich Text Editor” and start changing the markup and scripts of the editor. While this might work, it is NOT the way to do it. These files ships with Sitecore and as such can be overwritten at any time, when you either upgrade sitecore or install a sitecore patch. Generally you should never edit files that ships with Sitecore. In Pentia we live by this rule as we use a component based development approch, creating our custom code in well defined components which is then added ontop of Sitecore. This way we don’t break sitecore and keep the solution able to be updated or patched. Sitecore supplies a way to configure the editor without changing the files that comes with sitecore. You can extend the ‘Sitecore.Shell.Controls.RichTextEditor.EditorConfiguration’ class and override the ‘SetupEditor’ method, where you can set all the settings you need on the editor. This method is then run everytime the editor is loaded. //Set additional properties of the Editor here if needed. All this applies to the Rich Text Editor. Unfortunately it is still possible to paste html directly into in the page editor in Sitecore. In the wededit version of the Rich Text Field, anything can be pasted and there is no way to strip anything. How Sitecore have missed this, is beyond me, but they confirmed, in a supportcase I opened, that there’s no way around it at the moment. This is the second post in a series about the Rich Text Editor (RTE) in Sitecore. You can find the first post which is about the basics of setting up the RTE here. So you have now created your own HTML Editor Profile and configured your site to using it. The authors can now no longer press a button to insert those nasty tables and use Comic Sans! Hooray!! Well… they can still switch to HTML mode and insert and edit the raw HTML of the field. So nothing is stopping them from googling their favourite spinning icon inside a table with text in Comic Sans and paste all of it into the HTML. There are 2 places that the authors have access to the raw HTML. In the bottom of the Rich Text Editor, there is a pane that gives access to the raw HTML. And in the Content Editor, just above a rich text field, there’s a link that says “Edit HTML” which does just that. Luckily Sitecore makes this task easy as it is possible to restrict access to these functions through access rights. This means that you can block HTML edit from your Authors while administrators still can edit HTML. In the Core database, navigate to ‘/sitecore/system/Field types/Simple Types/Rich Text/Menu’. Here you will find the “Suggest fix” and “Edit HTML” which are shown as links in the Content Editor as seen above. We also want to remove the ‘Suggest fix’ as this function sometimes can break your HTML if you don’t know what you are doing. Select the Edit HTML item and open the Access Viewer found in the menu under the Security tab. Here you will see what kind of access rights are assigned. You will need to find out which role your Authors have. Usually it will be the “Author” role, but this usually differs between various sites. Still having the Edit HTML, open the security Editor from the menu. In this case the Authors don’t have any special rights assigned, so we need to select the using the “Select” button in the top left. This opens a pop up window where we can find the Authors role and select it. Then, ensuring that the Authors role is selected in the pane above, click the ‘x’ on the ‘Read’ column beside the Edit HTML item. Then do the same for the ‘Suggest fix’ item. This fixed the problem in the content editor. Close the security editor and access viewer and navigate to ‘/sitecore/system/Settings/Html Editor Profiles/Rich Text XYZ/WebEdit Buttons/Edit html’ (the path of the profile of your Rich Text Editor), and repeat the process above to remove the Read access rights for the Authors. Your Authors can now no longer Edit HTML in the Content Editor or in the RTE. The next article in this series about the Rich Text Editor in Sitecore, will show you how to prevent your Authors from pasting formatted word text, HTML tags etc. directly into the editor, destroying your W3C validated site. This is the first post in a coming series about the Rich Text Editor (RTE) in Sitecore. This post is going to be very basic for many, but will be a good place to start for people new to the subject. The Rich Text Editor is the main tool for authors in Sitecore for entering and editing the content of a website. It is the tool through which text is maintained in Rich Text fields in Sitecore templates. 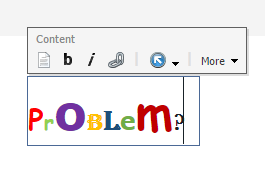 It can be used in both the Content Editor and the Page Editor in a popup window, but is not to be confused with the webedit field in the page editor. All wonderfull tools for a group of well trained and taimed content editors, who knows HTML and CSS to the bone and can’t make mistakes, ever… Well, unfortunaltely this does not describe the standard content editor, which more often than not, does not have HTML and CSS as main education areas. So you should very carefully think about shat kind of tools you actually want to offer your content editors. Configuring the RTE in Sitecore is not hard and it involves 2 steps. Setup a ‘HTML Editor Profile’ and configuring the website to use this profile. Login to sitecore and navigate to ‘/sitecore/system/Settings/Html Editor Profiles’. Here you see the different profiles that Sitecore comes with. To setup a profile, remember to copy one of the existing profiles and edit in the copy, rather than editing and possibly destroying one of the original profiles. When you open for example the ‘Rich Text Full’ profile, you see a list of folders that contains items that can be buttons or contain items that support som of the buttons in the editor. These are the items that you want to delete or change to limit the functionality in the editor. 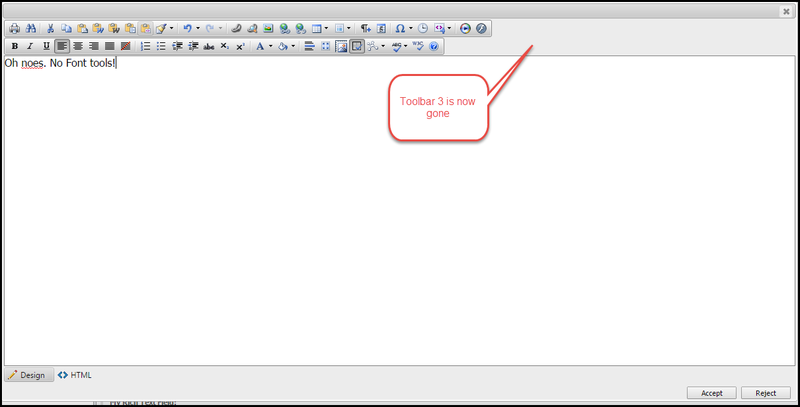 Try copying the “Rich Text Full” to “Rich Text XYZ” and try deleting the ‘Toolbar 3’ folder. Open your web.config and locate the setting ‘HtmlEditor.DefaultProfile’. Change the value to the name of your custom profile. Now when editing a Rich Text field, you will see the editor using your new profile. You can get quite far as to setting up the editor this way. The next couple of posts will look at restricting functions based on access righst and creating custom buttons. The backend seemed fine and some of the pages also worked, while others failed. Finally I realized that the frontpage item had been se to “Never publish” and as such, had been unpublished and therefore was not available. And since most of the site has a reference to the frontpage, most of the site crashed. You might get a different error depending on how your code is implemented. It turned out that it had been done by mistake by a less experienced editor at the client. Rather quickly hereafter, the client requested a feature to prevent the frontpage from ever being unpublished. I decided to hook into the Item:Saving event, available in sitecore. 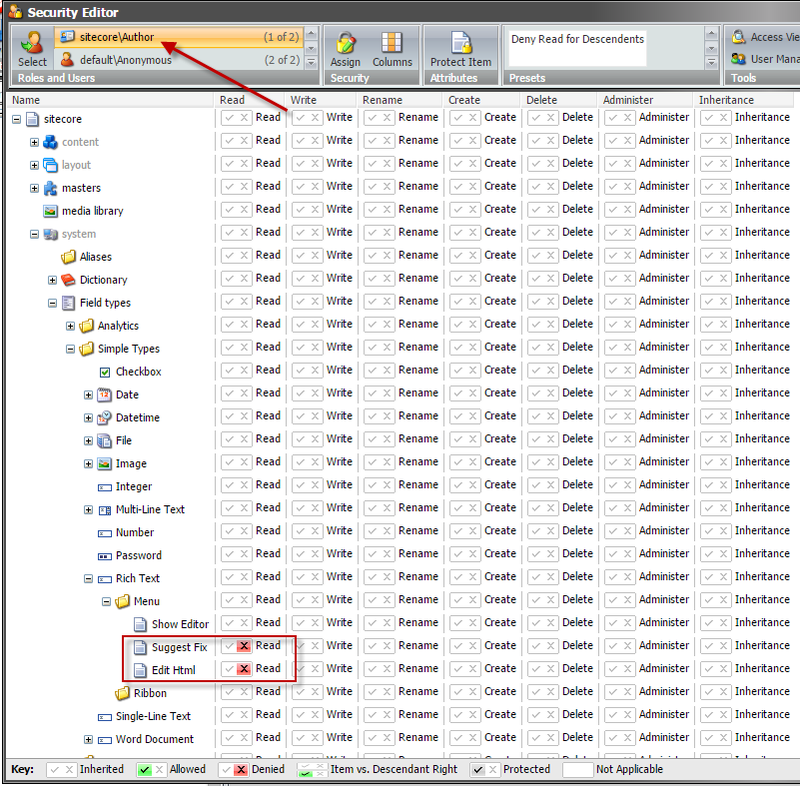 This enables me to capture and examine and item before it is saved to the database and cancel the save, if necessary. It involves 2 steps: The first is to program an eventhandler and the second is to configure it in web.config. //this checks if the item is based on the frontpage template. In some cases, it should be possible to configure security options to prevent unpublishing the frontpage, but its rather complicated. However in this case it was not possible due to the client security setup. The other day on the project I was working on, I experienced an enormously slow backend when editing content in Sitecore. It seemed that everytime I saved an item the backend would take a long time to serve the next action. ManagedPoolThread #17 09:38:26 INFO Starting update of index for the database 'master' (12110 pending). Lucene Merge Thread #0 09:38:27 ERROR Unhandled exception detected. The ASP.NET worker process will be terminated. Message: Exception of type 'Lucene.Net.Index.MergePolicy+MergeException' was thrown. So it seemed that everytime I saved an item and the index updates, Lucene is unable to merge the existing index with the new items. A full rebuild of the indexes did not help. 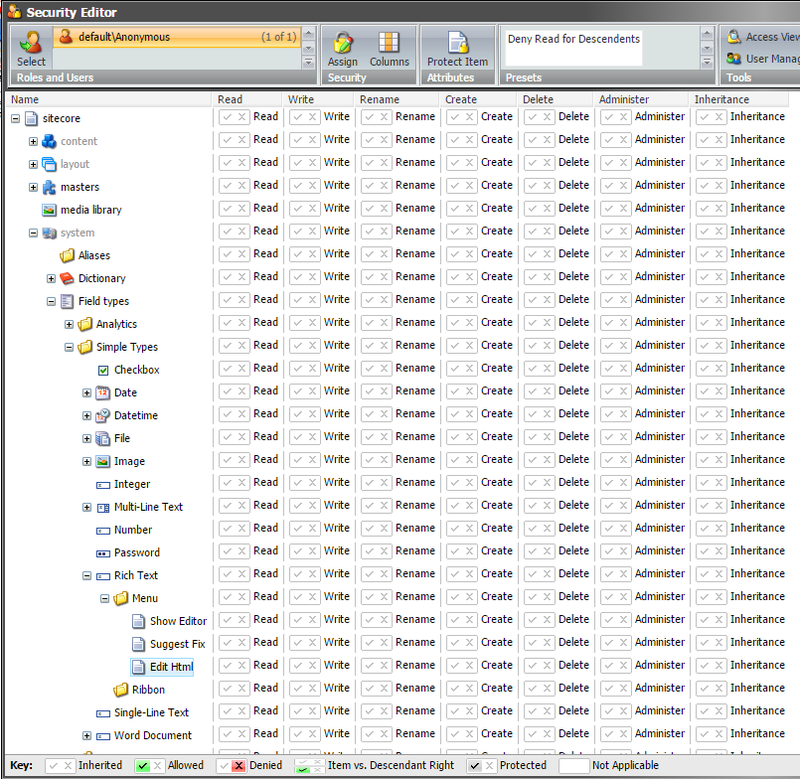 But first deleting the index files from “www\App_Data\indexes” and then rebuilding them does help! This was experienced on Sitecore 7.1 rev. 140130. This error was extremely hard to track down. Here is what I experienced – I hope you never have to! The customer had an iframe on a sitecore page, which showed content from a different website. The page that has the iframe, got a DMS Goal associated with it, to track visits to the page. The error was reported to be “When we click links inside the iframe, the DMS Goal is triggered multiple times”. Naturally I thought that Sitecore had an issue with visit tracking and iframes. I replicated the error fine and reported it to Sitecore support, which returned unable to reproduce. Extreme bughunt initiated! I finally figured out that when Chrome encounteres a image tag with a blank ‘src’ attribute or a style url element with a blank url, Chrome, for some reason, decides to reload the page. I imagine that this causes a lot of bloated traffic statistics on most websites all over the world. After publishing this post, one of my collegues, Anders Laub, pointed out, that Chrome simply sees the src=”” as a relative path to the image and therefore thinks the image is at the website root path and tries to load the root url as the image, causing what seems like a reload. It might be technically correct, but it has unfortunate sideeffects. This also means that if you got more than one blank src element, the page is loaded the same number of times.